If you’ve been following along on Instagram, by now, you know my OBSESSION with progressive overload. As simple as it is, it’s often a concept that’s either misunderstood or lost in the abyss of conflicting information on the interwebs. The following is the basic breakdown of what a progressive overload is, how to achieve it, and why it’s beneficial. Progressive Overload is the principle of increasing the demands on the musculoskeletal system to gain size, strength, and endurance, by continually making those muscles adapt to new forces of resistance applied against them. That makes sense, right? For a muscle to grow, strength to be gained, or for performance to increase the body must be adapt to a tension that is beyond what it has previously experienced. Like, if you curl 20’s your entire life, your biceps aren’t going to budge. We know this – it’s called the “plateau.” But if you jump from the 20’s to 25’s to 30’s you’re gonna see some gains. Humans are stubborn as fahk, and we’re not going to change unless we’re forced to change. Muscle grows in response to a stimulus, but for further gains, you need to continue making greater demands on it. With high demand, comes great change…change in the form or more muscle, more strength, less fat, better performance, and quicker recovery. How do you Achieve Progressive Overload? Didn’t I just say that? I did – you achieve progressive overload by lifting heavier…but that’s easier said than done. And if we were able to lift more every time we worked out, pretty soon we’d be benching 10,000lbs, and squatting over 50k. That’s not exactly how it comes to life, is it?! When to Implement Your Progressive Overload? 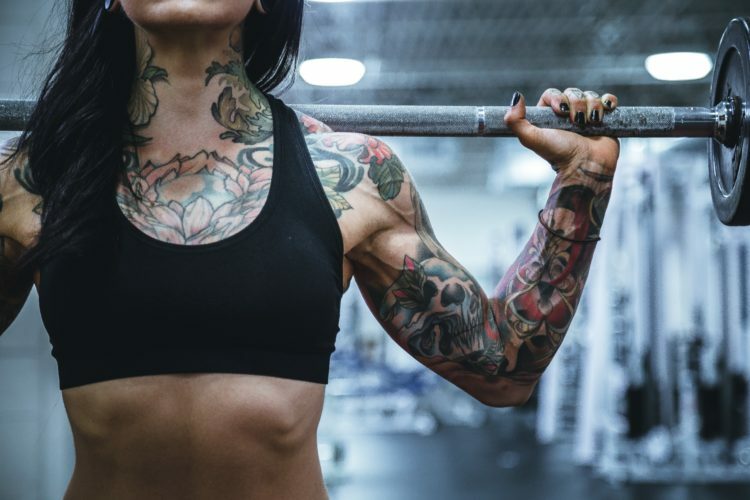 The best practice I set for myself, and recommend to others – if you can do 20 reps without reaching exhaustion or failure, it is DEFINITELY time to increase the load. To be more specific, I usually use the below as my guide. How you progress is ultimately up to you. If you’re new to lifting, you’ll be able to advance more quickly than someone who has been lifting for years. If you start too light, you’ll progress quicker than someone who started with a more challenging weight. Week One: DELOAD to get to know your set. I’d prefer to go too light than going too heavy and risk injury or be debilitatingly sore for days on end. If you’re in a group exercise-type setting, it can be harder to navigate your load because your workouts aren’t the same. In this case, the mind/muscle connection, or focus on form is CRUCIAL. Introduce your own isolations, static holds, tempos or in-rep cadence if you’re not ready to jump from the 10’s to the 12’s. You’ll get there in no time. There isn’t a right or wrong way to execute an overload – the detail of execution isn’t as important as the concept itself. In order to grow, change, and reach your goals, you have to continue to challenge yourself and that can come in MANY forms.